EJ Runyon doesn’t believe she could write genre fiction even if she tried. She has read and admired several authors of genre fiction but knows unequivocably that she is a writer of literary fiction. She believes the most impactful parts of people’s lives, as written, are conveyed via literary fiction and, at least the way she writes, she believes that writing from the heart rather than from some carefully orchestrated outline or planning perspective, provides the writer the opportunity to find a great theme hidden in the story and bring it to life. She also happens to be a sensory writer, taking issue with my question about images as the starting point of a story. “Any sense memory can include something you see, as well as something heard or a smell, or something tasted,” she explains. Is Literary Fiction Heading the Indie Route – Yes or No? I recently asked four experts for their opinions about publishing trends in literary fiction. 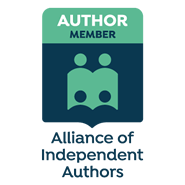 More specifically, I queried: Will today’s community of literary writers and readers always remain part of the establishment of traditional publishing houses, or will it eventually evolve to be represented by indie fiction? Why or why not? Thanks to Orna Ross, David Gaughran, Anne R. Allen and Sangeeta Mehta for their contributions, which are included below in alphabetical order by surname.